As the summer months begin to drift away, that drop in autumnal temperature means the first frost is due. So before we batten the hatches for winter, those with green fingers, if they are lucky enough to have the space, should be bringing plants and seedlings inside. But the reality is that space in the home is at a premium, whilst sheds and greenhouses, on their own, do not necessarily deliver the required winter protection young plants need. One great way to ensure both gardeners and little seedlings are protected in out-buildings during the colder months is to use Cold Watcher, a compact, durable heater purpose designed for reliable frost protection. Available in two models – 500W and 1000W – Cold Watcher can be used freestanding or better still be wall mounted. With steel construction it is both tough and safe to use in wet areas. It is low cost to run due to its energy saving thermostatic control, and has been professionally tested against the British Standard for frost protection, so you can rest assured your plants will be kept safe. Other Dimplex products that can be used by the gardening enthusiasts include Frostwatcher, a simple to use, mains wired, heater that maintains a comfortable low level of heat suitable for conservatories or sheds. Alternatively, a Tubular Heater is a simple appliance that also offers low level background heat. 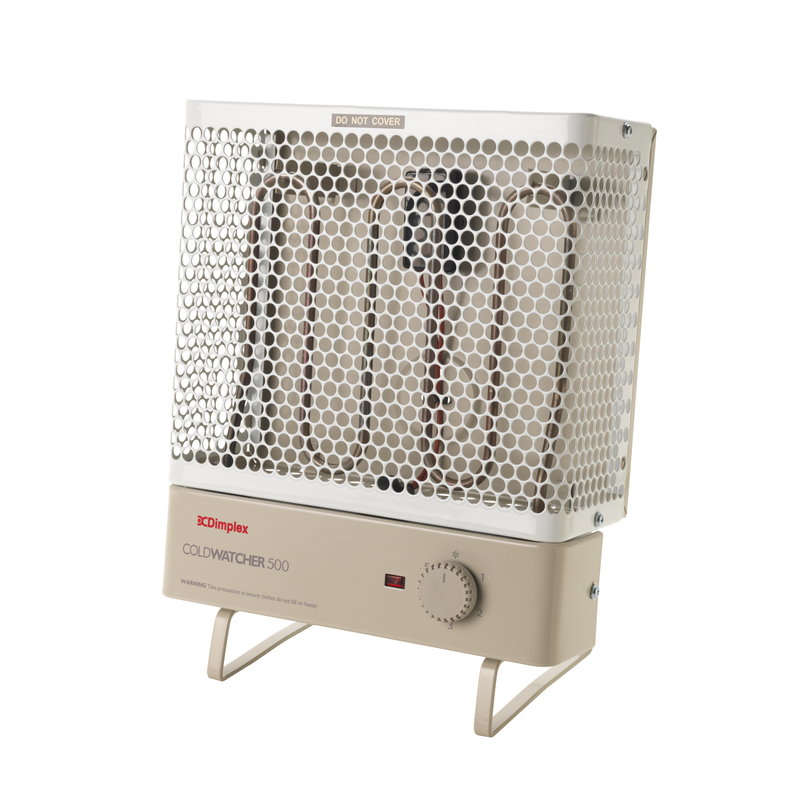 Dimplex’s ECOT tubular heaters come in a range of six sizes/ outputs from one foot up to six foot long. They can be wall mounted and have a thermostatically-controlled frost protection setting for complete peace of mind when it comes to keeping your plants safe and garden work spaces comfortable even during the harshest of winter months.